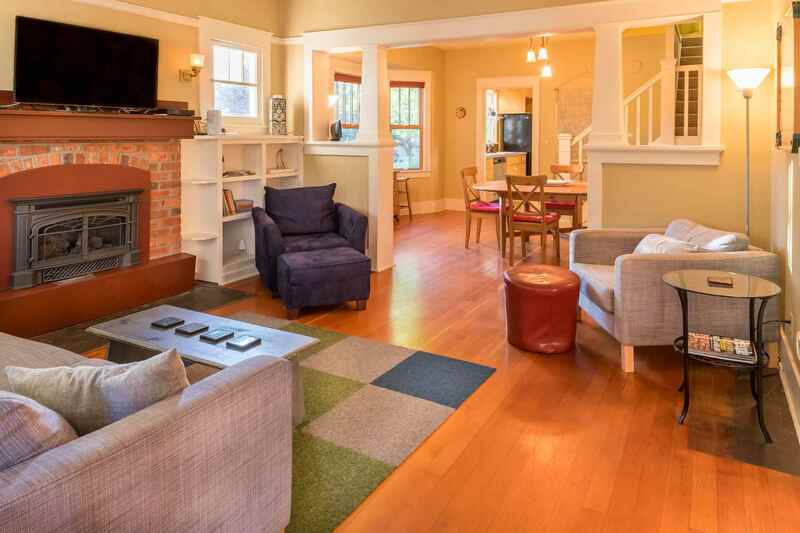 Beautiful Historic Home Within Walking Distance to Old Mill and Downtown. Sleeps up to 8. Like a breath of fresh mountain air, this house will take you away from the frantic pace of the modern world and back to a time when board games and homemade pies were weekend staples. 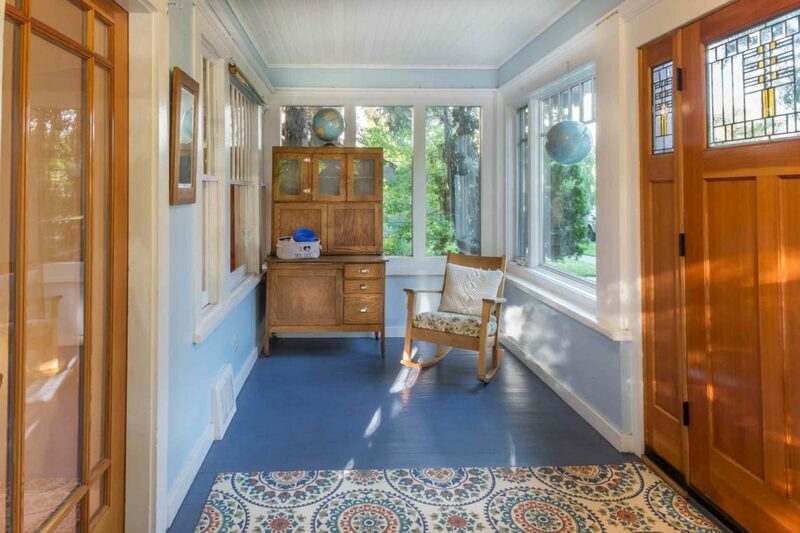 The Homer house is one of Bend’s original Craftsman gems, located on Bend’s first platte, NW Delaware Avenue. It is a registered historic home, originally occupied by Homer and Bertha Mayrand. Homer was a sawyer for the Shevlin-Hixon Lumber Company. 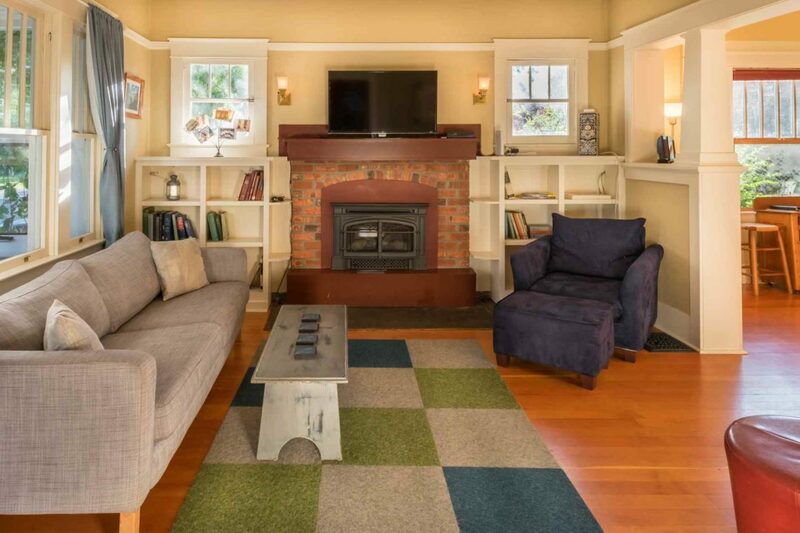 The first floor of the home has a large living room with hearth with gas insert in fireplace, dining area, modern kitchen and a retro dinette area overlooking the back yard. 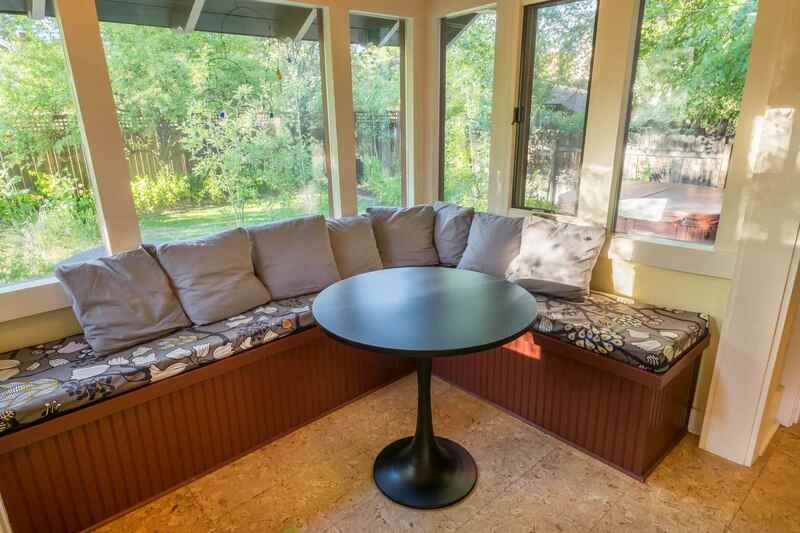 One of the finest features of this house is the enclosed front porch with cafe seating. There are two bedrooms on the main floor, each with a queen bed. 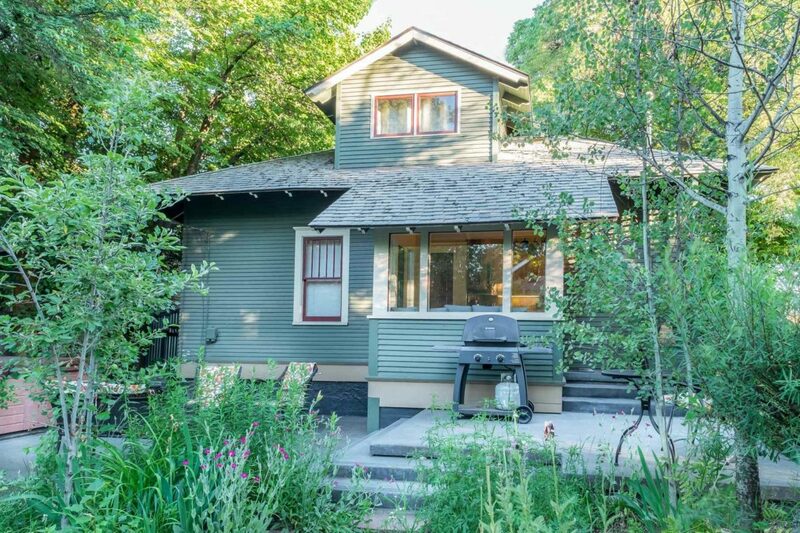 Like a breath of fresh mountain air, this house will take you away from the frantic pace of the modern world and back to a time when board games and homemade pies were weekend staples. 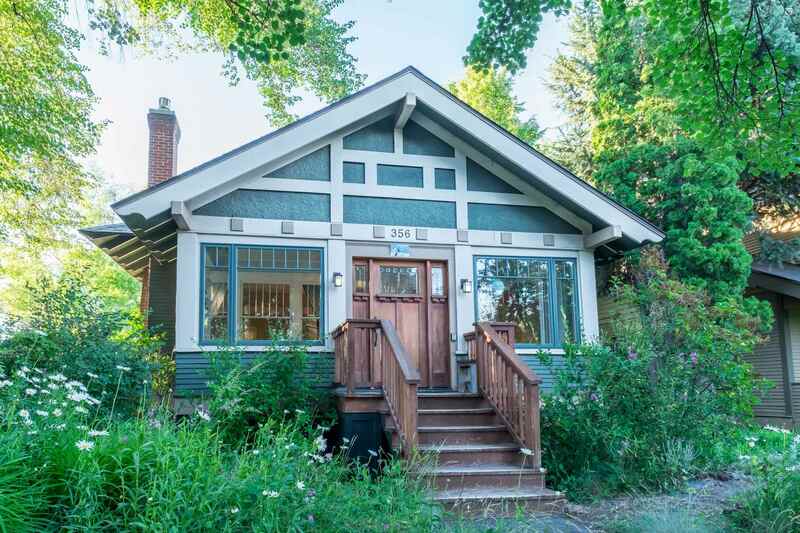 The Homer house is one of Bend’s original Craftsman gems, located on Bend’s first platte, NW Delaware Avenue. It is a registered historic home, originally occupied by Homer and Bertha Mayrand. Homer was a sawyer for the Shevlin-Hixon Lumber Company. The first floor of the home has a large living room with hearth with gas insert in fireplace, dining area, modern kitchen and a retro dinette area overlooking the back yard. One of the finest features of this house is the enclosed front porch with cafe seating. 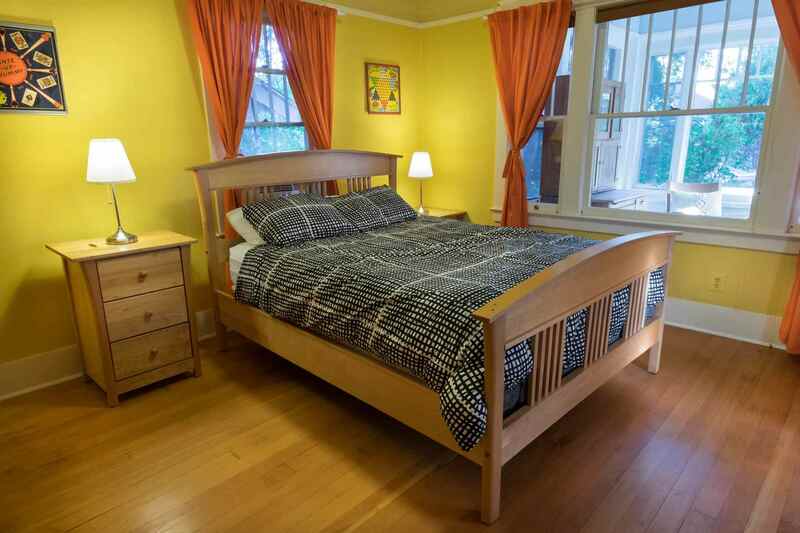 There are two bedrooms on the main floor, each with a queen bed. The full bath is also on the main floor, and includes a cast iron bath and shower, with original tile throughout. 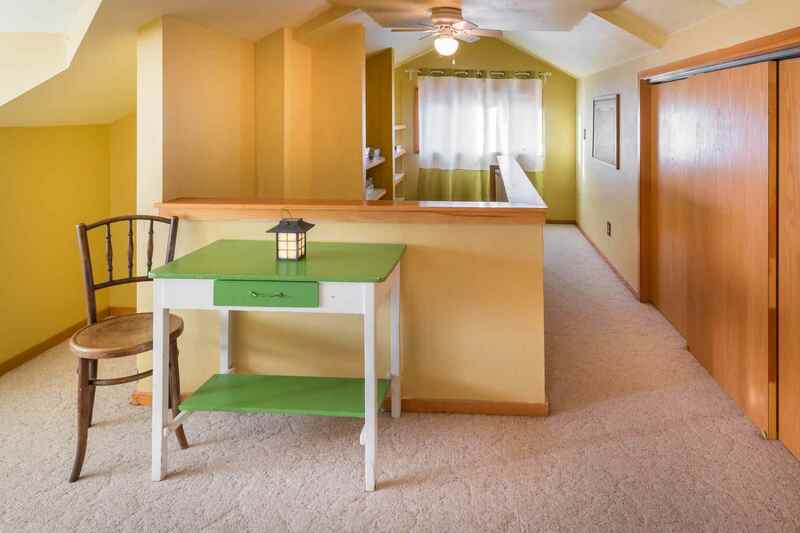 The main floor has original fir floors, while upstairs there is a carpeted loft that can serve as a third bedroom. 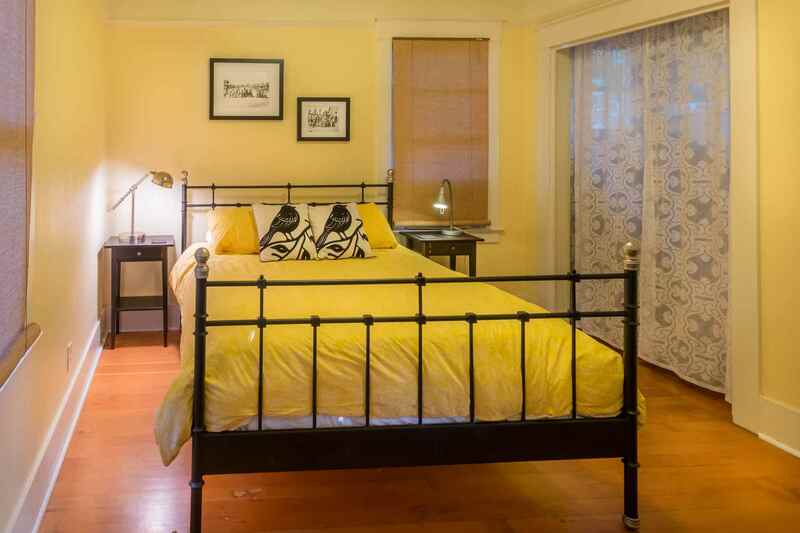 This area includes two twin beds with space for flexible sleeping arrangements. 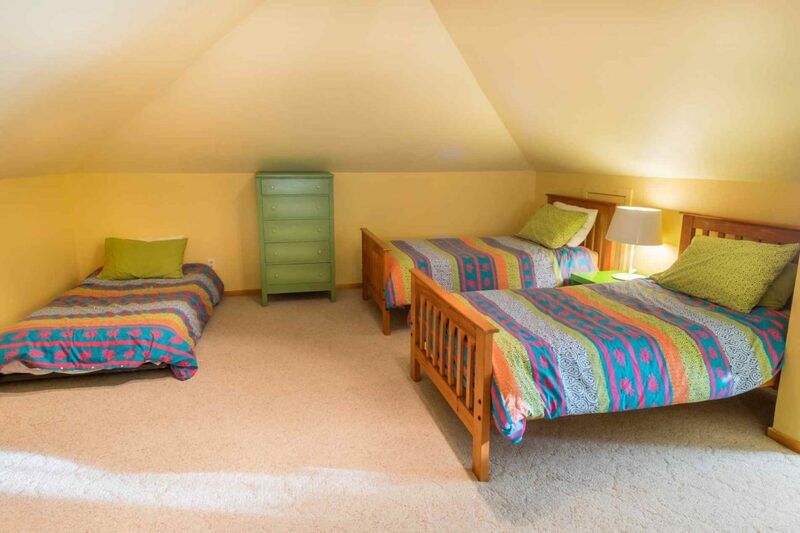 The loft is a large open area ideal for extra guests or kids who want to spread out. The second floor does not have a door, but is private and relatively removed from the noise of the first floor. Homer is a furnished with a combination of vintage and new pieces. 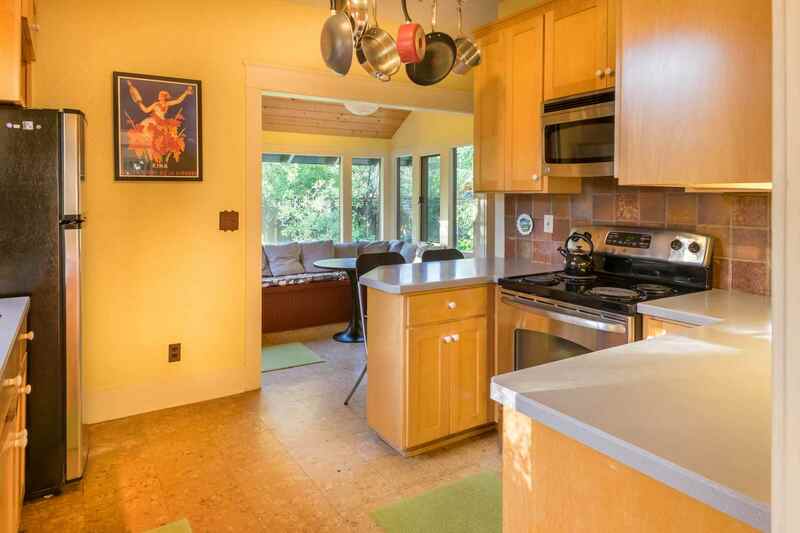 This house is ideal for folks who are looking for a laid back home base in Bend. The yard at Homer is large and flower-filled. There is a four-foot fence enclosing the backyard, making it pet-friendly, but not ideal for dogs that like to jump fences. There is a hot tub, barbecue, lots of outdoor seating and really lovely old-timey vibe. 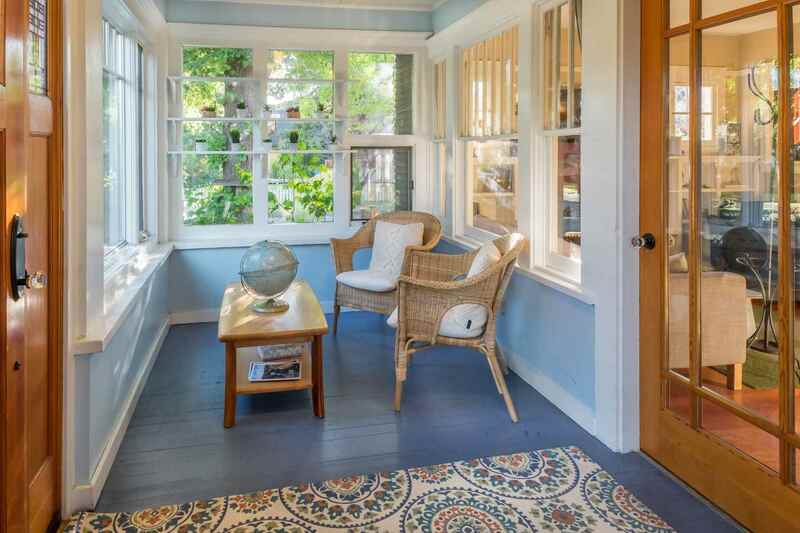 Delaware Avenue is a truly historic street with large lots, mature trees, and historic homes. Three blocks from the house is the popular Jackson’s Corner Market.. Downtown and the Old Mill are both easily accessible on foot or bike. Please note that bookings require a two (2) night minimum stay.